I know I'm a bit crazy with the recipe sharing lately but I like to share ones that I try and like. 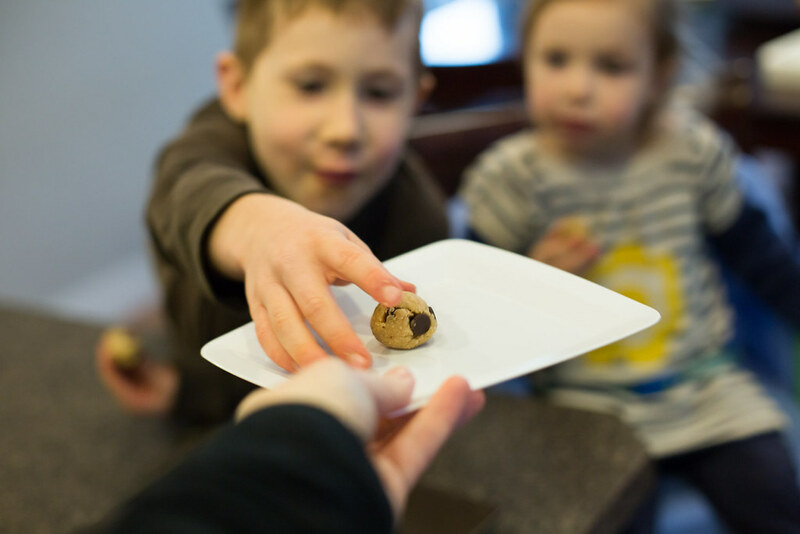 I decided to check out the `Power Snack' section of the Oh She Glows cookbook for an after school snack for the kids. This was a hit. There is maple syrup in it which is something I try not to have too much of but I definitely had to try one (or two!) of these. The recipe calls for oat flour and I've never made it before but it was so easy! Took just one minute. 1. 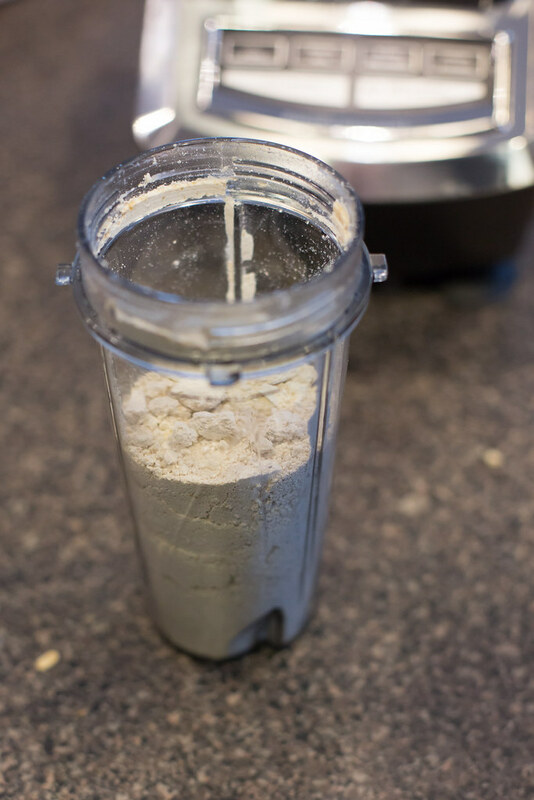 In a blender, blend oats until it turns into a fine flour. 2. In a large bowl combine coconut oil, peanut butter, maples syrup, and vanilla. Beat until smooth. 3. Add the oat flour (I just added more oat flour instead of making almond floor too) and salt and beat again. 5. 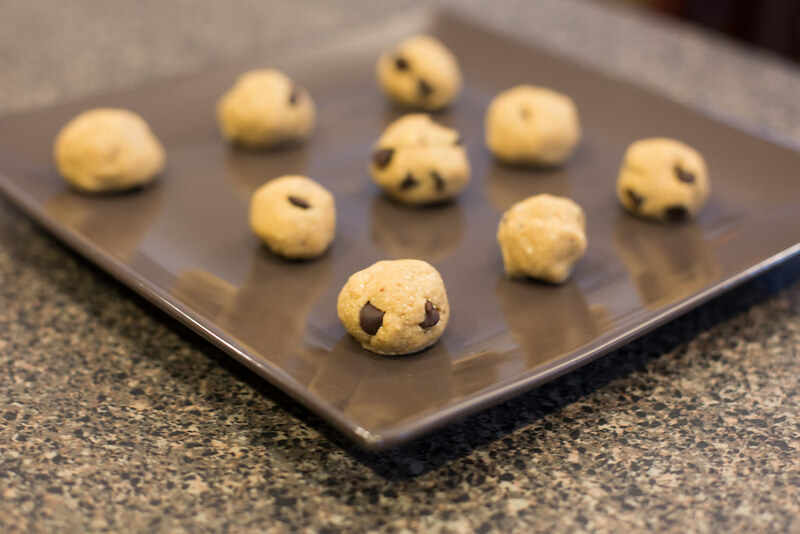 Roll into balls and put on a plate lined with parchment paper. 6. Freeze for 5 minutes. 7. Store in a freezer bag in the freezer and you have a snack always ready to go! Love this! What a great recipe! I'll have to try it! Let me know what you think Bethany! Haha. Can u guess what I'm making now?!?!? Thanks for posting the recipe. Denise, that's awesome! Let me know what you think and whether your boys like the or not! That's awesome! Double batch next time!